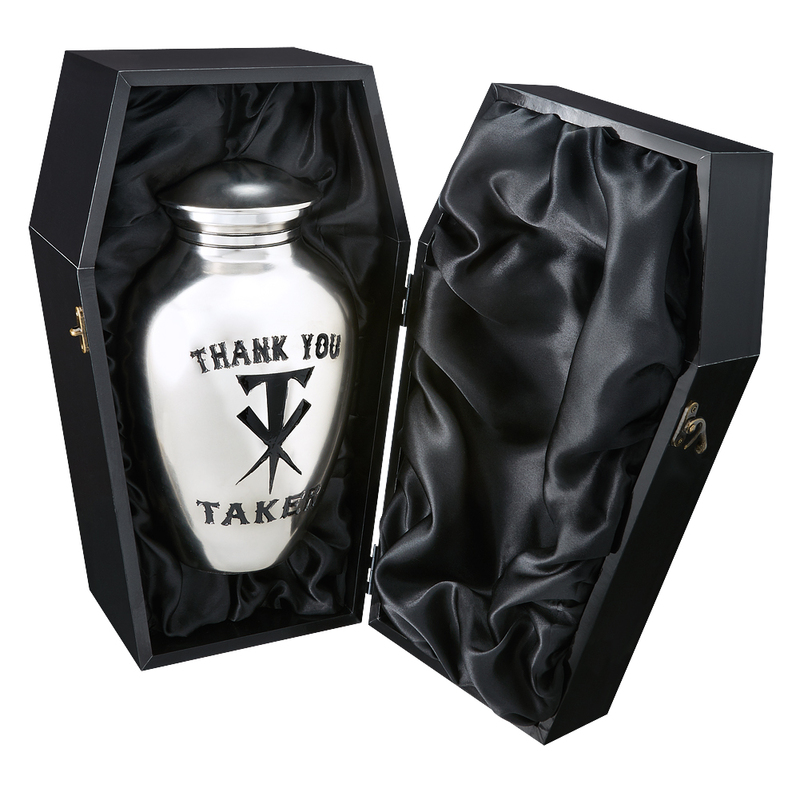 Someone Bought This: The Undertaker "Thank You" retirement urn - WrestleCrap - The Very Worst of Pro Wrestling! Presenting The Undertaker “Thank You” retirement commemorative urn! Boy, this is going to be a really awkward thing to own when he actually dies, won’t it? 3 Responses to "Someone Bought This: The Undertaker “Thank You” retirement urn"
With all the bad taste in wrestling, like Bossman dragging the coffin of Big Show’s father, was there ever an angle involving ashes?